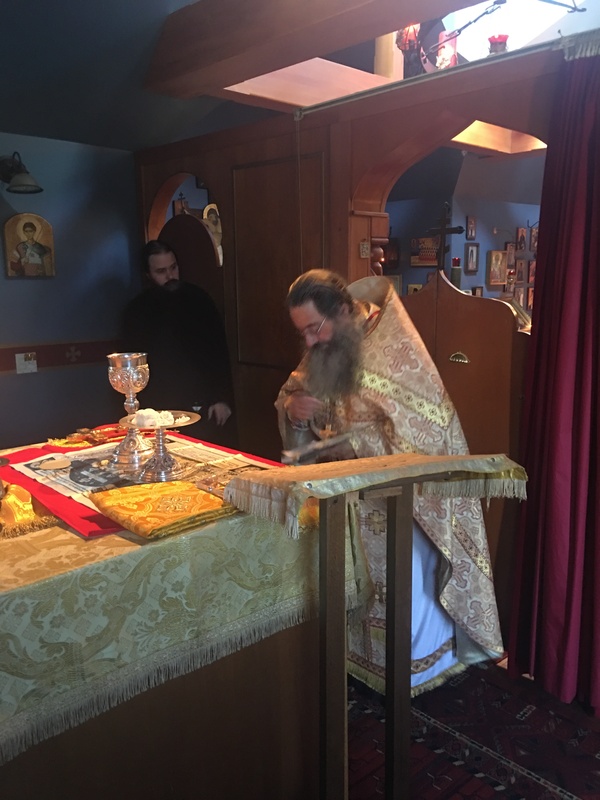 As a priest, I bear the awesome burden of offering the Holy Oblation before the Throne of God, on behalf of all the people who’s names are submitted to the monastery, and who are Orthodox. I offer for my spiritual children, and even for the whole world. I commemorate my own beloved parents, Albert and Dolores, who both converted to the Orthodox Faith while in their mid seventies, and who both lived many years in Orthodoxy before reposing in the Lord. I remember my best friend in college, Russell, who, like myself, converted from Lutheranism to Orthodoxy, and died at the age of 56, in the pastoral care of my friend Archpriest Nicholas Letten. I offer the Holy Oblation for the people who regularly attend the Sunday and Holy Day Liturgies, here in our monastery’s temple. I offer, like all priests, the Holy Oblation for our nation, our civil authorities, and our armed forces. 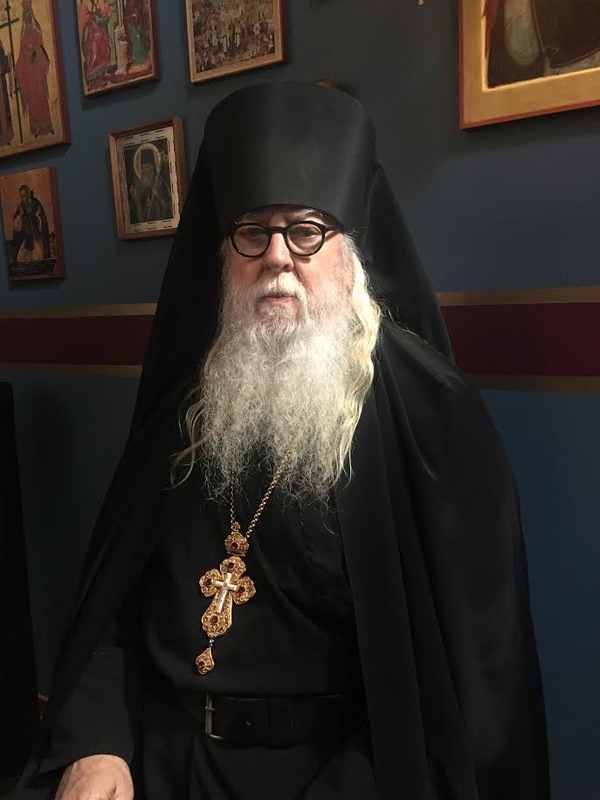 I offer the Eucharistic sacrifice for our Holy Patriarch Kirill, our Metropolitan Hilarion, for Archbishop Kyrill of San Francisco, and my Bishop Theodosy of Seattle. I offer the Oblation for all those who have no one to pray for them, and for those who have died, but are forgotten. I offer the Holy Sacrifice for all the clergy of the Seattle area, and for my brother priests of the diocese. I offer the Holy Sacrifice for myself. As a priest, I am a Servant of the Altar, and when I stand before the holy table I am bound together with every priest who has ever served, and with everyone who has laid down his life for Christ, as a martyr. I am bound to every Christian who has ever lived. I am bound to Christ in His Eternal Kingdom wherein the Heavenly Banquet is eternally celebrated, eternally offered, and am falling down, together with all the heavenly hosts, in worship of the Holy Trinity. The whole of the cosmos is united together in this heavenly offering, for it is the very source of Life itself. This offering is not simply a “symbol” or “memorial” of something that took place in the past, but a place where we meet the Eternal God, for Christ said, “he who eats of My Body, and drinks of my Blood, has life”. Within this celebration we enter into the place where there is neither time, nor space, and we enter into the Heavenly Kingdom, where the Church Triumphant (in heaven) unites with the Church Militant (on earth). We enter into the Communion of Saints! I am a proponent of frequent communion because we need the Eucharist. It sustains us, encourages us, fortifies us, heals us, transforms us. The early Christians receive whenever they gathered together, for they knew the communal participation in the Eucharistic banquet, was life giving. 17 Brethren, join in following my example, and note those who so walk, as you have us for a pattern. 18 For many walk, of whom I have told you often, and now tell you even weeping, that they are the enemies of the cross of Christ: 19 whose end is destruction, whose god is their belly, and whose glory is in their shame—who set their mind on earthly things. 17 And He came down with them and stood on a level place with a crowd of His disciples and a great multitude of people from all Judea and Jerusalem, and from the seacoast of Tyre and Sidon, who came to hear Him and be healed of their diseases, 18 as well as those who were tormented with unclean spirits. And they were healed. 19 And the whole multitude sought to touch Him, for power went out from Him and healed them all. Beautifully stated. Thank you Abdot Tryphon.